The Internal Revenue Service, moving aggressively to collect more taxes from small businesses, is telling companies being audited to turn over exact copies of the electronic records kept in their business-software programs, according to a letter from an agency official to the American Institute of CPAs. The accounting group fears this will force small businesses to turn over customer lists, personnel data, confidential client information and other unrelated information often contained in the off-the-shelf software programs many businesses use to manage all aspects of their finances. Small-business groups are beginning to push back, saying the agency shouldn’t treat small firms like bigger businesses, which usually have elaborate accounting systems and are able to give the IRS only the data the agency seeks. Small businesses, defined by the IRS as those with assets of less than $10 million, often use one off-the-shelf software program such as Intuit Inc.’s QuickBooks or Sage Group‘s Peachtree. A spokesman for Intuit said the Mountain View, Calif., company “was aware that the IRS has purchased copies of small-business accounting software to use in its tax audits.” The IRS declined to comment. The group said it has had numerous inquiries from members with clients who have received requests for software files. The IRS declined to give a number on how many requests it has made. The IRS declined to make him available to comment. The IRS has been ramping up its tax-collection efforts in recent years, increasing the number of audits on companies and individuals and clamping down on overseas tax evasion, agency data show. Small businesses are among the largest contributors to the “tax gap,” or the amount of taxes owed but not paid because of noncompliance with tax laws, according to the IRS. In 2001, the last time the agency measured the shortfall, nonfarm sole-proprietor income was estimated to account for about 20% of the $345 billion gap. A Government Accountability Office report from November said smaller companies don’t comply with tax law in part because they often aren’t subject to withholding rules and other requirements. This year, Congress repealed a provision passed in 2010 that would have required businesses to issue 1099 reports to vendors to whom they pay more than $600 in any calendar year. Small-business advocates said that if a company turns over its complete electronic records, there is no way of knowing what the IRS might do with it. 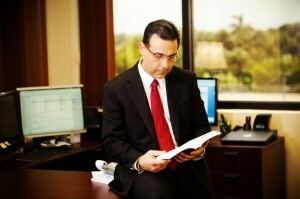 Typically the agent takes the file offsite to examine it using IRS software. This is creating angst in the minds of small-business owners. When you give that much data, it opens the doors to mischief. Others are concerned about agents’ access to unrelated data such as customer lists, fearing what would happen if word got out that a business was talking to the IRS. Believe me, small businesses don’t want the IRS calling their customers and asking questions. The IRS rejected the request, suggesting that small businesses back up a year’s data at the end of each year, so that the IRS would get only a year’s data at a time. Experts say such back up isn’t allowed once an audit request is received by a taxpayer. The IRS also said it would allow businesses to “condense” data—or reduce the detail—for years not under audit. The IRS didn’t address the issue of unrelated information that could remain available, except to say “privacy of return information” is “of utmost importance” to the agency. If the policy remains in place, business owners will be faced with the uncomfortable choice of turning over their complete file or making the IRS issue a summons for it.